Seventeen (17) CARTA graduates attended the six-days hands-on workshop from February 11-16 . The graduates gained skills on how to develop a successful proposal for a personal award to support their research or a research grant. 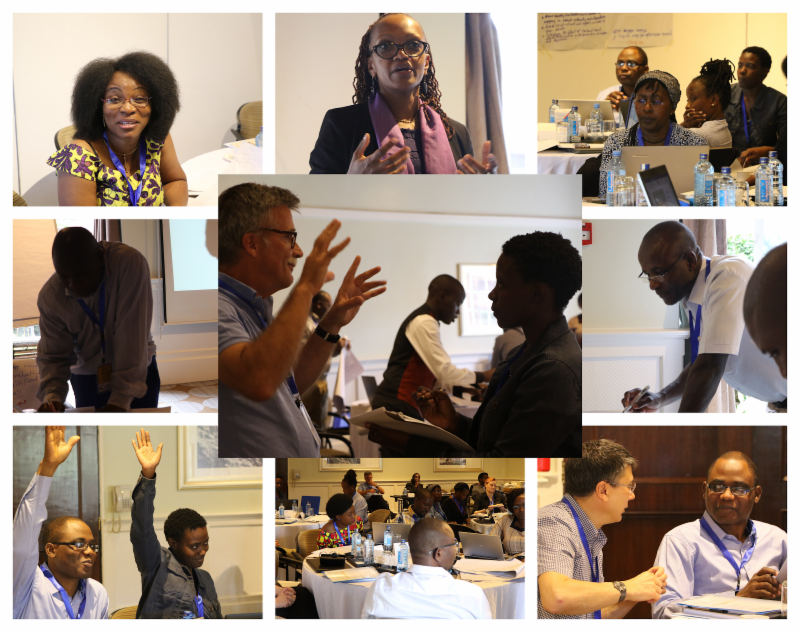 Photos from the annual CARTA Graduate Workshop in Nairobi, Kenya. The fellows learned critical skills in Community and Public Engagement, particularly why they should involve their communities--policy makers, public, media, fellow researchers--before, during and after the research. 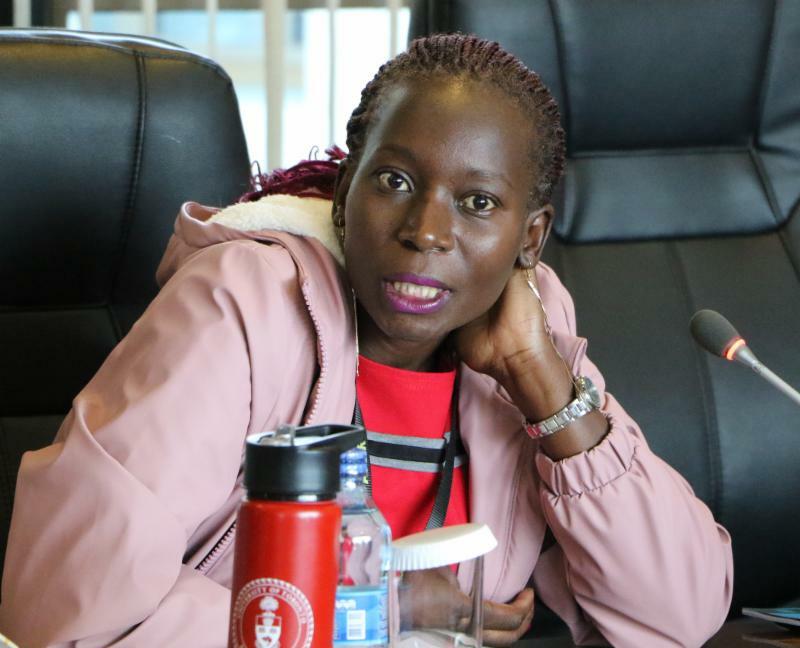 ﻿Their facilitators were Håkan Billig (University of Gothenburg), Charles Obonyo (KEMRI), APHRC's Duncan Gatoto, Evelyn Gitau, Florah Karimi, Justus Musasiah, Marta Vicente-Crespo ; Mosa Moshabela (University of KwaZulu-Natal), Violet Naanyu (Moi University), Jackie Sturt (King’s College London), and Martin Underwood (University of Warwick). See the Participants Bios_2019 CARTA Graduate Workshop and the Facilitators Bios_2019 CARTA Graduate Workshop and more pictures from the workshop here. The Africa Centre of Excellence in Public Health and Herbal Medicine (ACEPHEM) at the University of Malawi in collaboration with CARTA hosted a five-days workshop on Post Graduate Supervision. The workshop, held from February 4-8, brought together 15 participants who included Deans or Directors of Postgraduate Studies, Directors of quality assurance, Council for Higher Education, advanced Doctoral students and Faculty who supervise Postgraduate students. 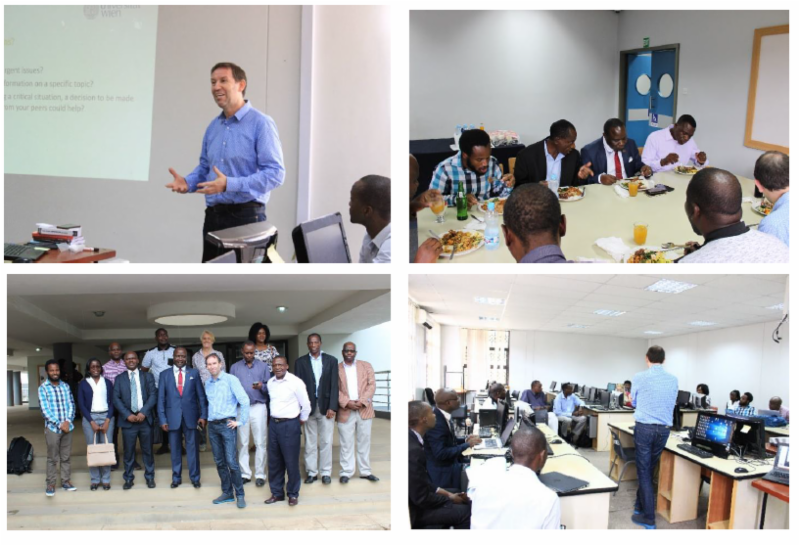 This 2nd Postgraduate Supervision training was facilitated by Dr. Lucas Zinner ( top left ) who is the Head of Research Services and Career development at the University of Vienna in Austria. The participants learned how institutions nationally and internationally are currently developing research supervisors, the changing context of doctoral education. Read more about the workshop here . Thank you Prof. Adamson Muula, CARTA Focal Person at the University of Malawi, for the photos and text. 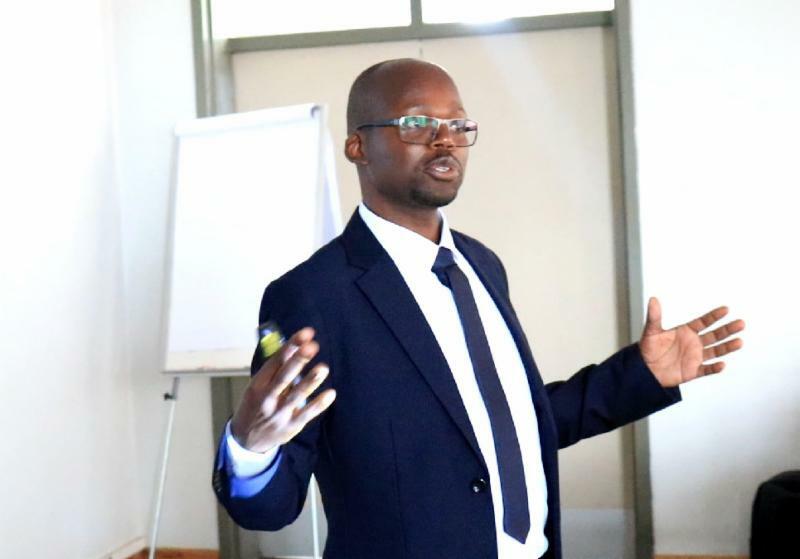 Our Cohort Two Fellow, Stephen Wandera , from Makerere University has been appointed Ag. Head, Department of Population Studies (DPS), Makerere University. Q: What does this role entail? I will be involved in the review of curricula, develop research capacity of staff and students, organize and develop the department human resource functions such as performance appraisals, promotions, recruitment. I will also be involved in fundraising activities for the DPS and I will also provide academic leadership to staff and students. ﻿Q: How has CARTA prepared you to take up this new role? I have gained various skills such as research capacity strengthening during the Joint Advanced Seminars, participation in the Graduate and Curriculum Review Workshops as well as in my application for the CARTA re-entry grant. Our Cohort Three Fellow Save Kumwenda from the University of Malawi successfully defended his PhD on February 5. 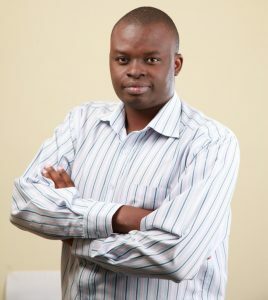 His PhD was in Public Health, environmental health. The title of his research was Pathogen survival in ecological sanitation toilets and the associated health risks . Anne Khisa , our Postdoc Fellow (Cohort Three from the University of Nairobi) co-facilitated a one-day workshop in collaboration with the Liverpool School of Tropical Medicine (LSTM) on how to improve Research Capacity Strengthening (RCS) evaluation practice in Africa. There is very little evidence to help funders and program implementers to design ways of measuring RCS impact. The workshop on February 20 in Nairobi discussed common indicators used to measure impact of #RCS initiatives and elicit/ collate additional indicators being used to measure impact of RCS initiatives. The other co-facilitator was Imelda Bates (LSTM). Anne is undertaking her Postdoc fellowship at the African Population and Health Research Center (APHRC)’s RCS Division. Our fellow John Olugbenga Abe (second left), Cohort Six from the Obafemi Awolowo University participated in the African Regional Conference on Ageing in November 2018 . He presented two papers that are part of the findings in his ongoing PhD research. The title of the first paper was Differentials in the Quality of Life of Older Adults in Osun State, Nigeria: Pre-Retirement and Post-Retirement Assessment . The second was Retirement Planning among Older Adults in Osun State, Nigeria: What are the Key Drivers? His presentations argued that ageing is not an emergency’, it is a continuous and gradual process. He recommended that appropriate policies should not only be target older people, but also younger generations (economic active population) who will cross the old age bracket and retire in the near future. The month-long CARTA Joint Advanced Seminars (JAS) 1 & 4 where in partnership with Makerere University, we will host a total of 49 fellows (24 fellows from Cohort Nine and 25 fellows from Cohort Six). These seminars begin next week from March 5-29 at the Makerere University School of Public Health. The JASes are offered once annually to each cohort. JAS-1 builds critical thinking, technical skills, and other core research competencies, and introduce students to the essential concepts and seminal articles of the disciplines brought together under CARTA while JAS-4 revolves around professional development. The 19th CARTA Board of Management Meeting from March 26-28 in Kampala, Uganda. 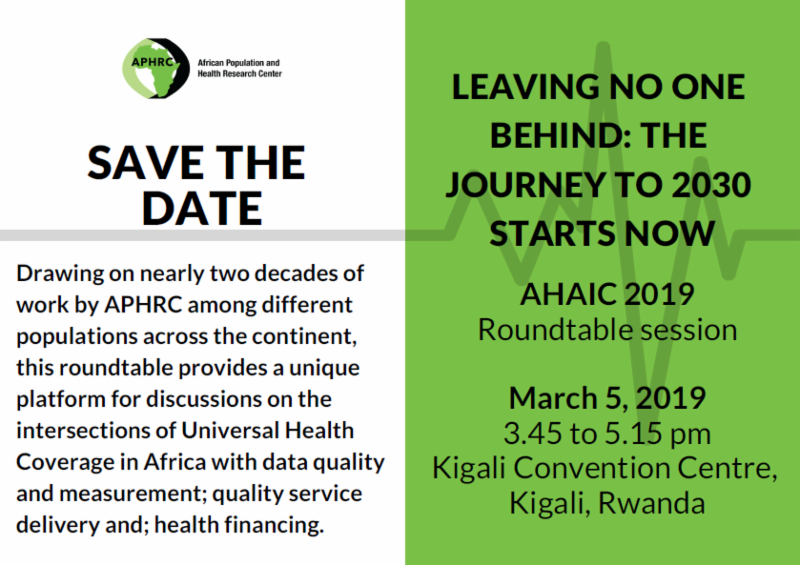 The APHRC round table session on March 5 at the upcoming African Health Agenda International Conference (AHAIC) to be held in Kigali, Rwanda from March 5-7 . The session which focus on data quality and measurement, quality service delivery, and health financing. See below for more information. Disseminating research findings: what should researchers do ? A systematic scoping review of conceptual frameworks. Community-based knowledge transfer and exchange: Helping community-based organizations link research to action . Share the findings or new research in your area of expertise or your doctoral study. The Conversation Africa is a highly reputable and credible source of information to improve the quality and scope of public discourse. Interested? Write to our Communications Officer. For CARTA Fellows ONLY ! Apply: DELTAS Africa Community and Public Engagement (CPE) Seed Fund . Deadline April 1, 2019. The University of Pennsylvania and Stony Brook University invites applications for a postdoctoral research fellow to work on a 5-year, NIH-funded study in Malawi to examine the role of adverse childhood experiences in shaping divergent HIV risk trajectories during adolescence. The position is for two years, contingent on performance and funding. Write to hpkohler@pop.upenn.edu and Rachel.Kidman@stonybrookmedicine.edu for any clarification. Deadline March 15, 2019. Submit a paper for a new PLOSMedicine Special Issue: Maternal and Child Health & Nutrition! Deadline March 8, 2019 . More details here . Participate in this survey on Epidemiological training and practice in sub-Saharan Africa . New York University's (NYU) Center for the Study of Africa and the African Diaspora (CSAAD) Research Fellowship invites scholars across academic fields to research some aspect of Africa and its Diaspora at NYU . Deadline: March 29, 2019. Share with us any news and updates such as upcoming events, conferences, meetings, story ideas, new collaborations, new trials/updates on progress, upcoming and published papers, policy briefs, community engagement activities, scholarships, what you are reading, if you won a grant, attending or about an upcoming conference, a call for applications/funding/papers. Share these before March 15, 2019 to be included in the next CARTA news & updates.